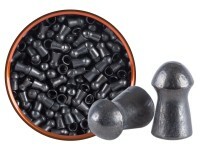 Multi-layer pellet: Copper and black nickel layers add increased weight and penetration. 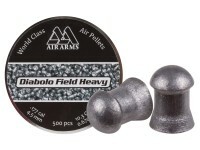 Advertised as the quiet pellet, these Whisper pellets are intended for hunting. 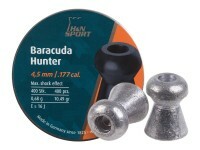 The manufacturer states this pellet will reduce the report (noise) made by the discharge of your Gamo Whisper air rifle. 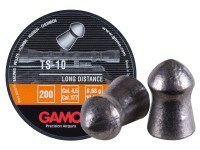 Gamo suggests that you use this with Gamo air rifles that have Whisper, Bull Whisper and Whisper Fusion technology for the quiet hunting. Things I would have changed: Manufacturing process, quality control. 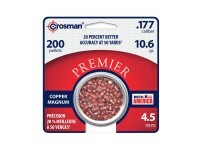 What others should know: Won't fit in my Gamo Outback Maxim rifle!!! The few that do are very very tight. Shoot all over the place. Expensive junk. Things I liked: first package was amazing. Things I would have changed: Make every package as good as the first. 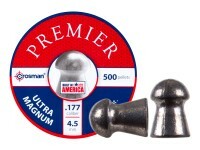 i bought a second 150 of these and they shot nothing like the first. 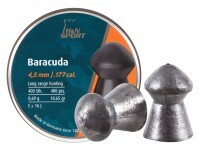 I had left overs from the first round and shot bulls eyes at 21 yards then put in several rounds from the new package and they were 2 inches high then 2 inches to the left. 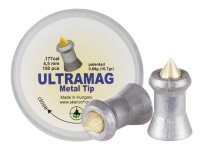 What others should know: Save your money, maybe i just got a bad rund but really not worth the money to gamble on whether or not your are going to get pellets that shoot well. 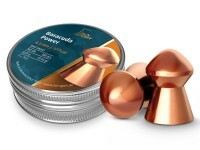 Things I liked: 1st tin, amazing, nailing bulleyes with nickel sized groups. 2nd tin, garbage. 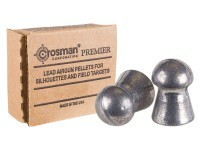 Things I would have changed: make the pellets shoot the same? 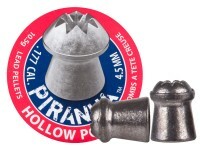 What others should know: i was having such good groups with these so i bought a second tin. I had about 30 from my previous tin so i mixed them together when the new one arrived. 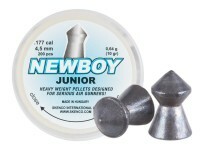 i started to shoot them and i was 2 inches low, then 2 inches to the left then bulls eye. I shot 4 more, all over the place, not even close to a group then i would get a bull eyes. At that point i figured out what was happening. The ones shooting true were the old ones and the ones going everywhere were the new ones. So don't buy these, they are over priced and you don't know if you'll get good ones or garbage. I just want to correct the answer to the question above. A quick check of the metals found on the Mohs scale of hardness will reveal that Nickel has a hardness of 4.0 and hardened steel has a hardness of 7 to 8 on the Mohs scale. Even mild steel is 4-4.5 on the Mohs scale. 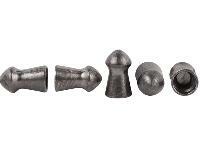 In short, steel varies from harder to significantly harder than nickel. 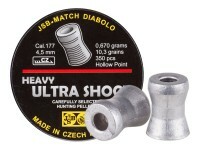 As for Gamo products in general, I have never had any major problems with the company or it's products. 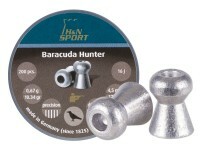 Nickel is harder than the steel used in airgun barrels so it would not be good for it. It's obviously a very thin electo plate so maybe no biggie but I can't see the point to using it at all other than another Gamo gimmick to make sales of overly expensive pellets to people that believe who their bs. The heavier weight of the pellet will not harm the gun and imo is easier on the spring. Many believe this is not true but none can provide a reason. 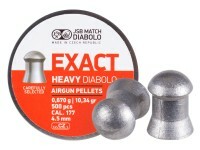 The reason it's easier on it is the same reason it makes the gun quieter, which is a less violent piston impact due to the cork effect which the heavy is better at. It's also easier on the scope. 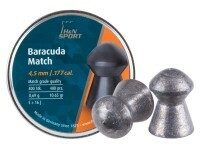 I'd get H&N Barracuda Match, or JSB 10.34gr or Crosman Premier round nose 10.5gr, any of which are much cheaper and no doubt much better quality.